Altar servers are scheduled for each of the weekend Masses and for holiday Masses. 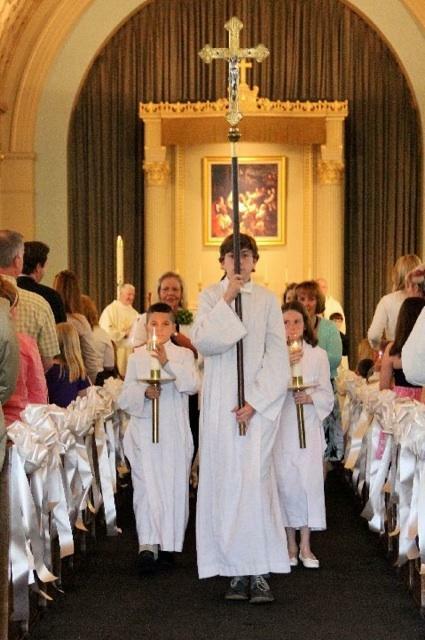 In addition, altar servers are often available by request for weddings. Each year new servers in grades 3-8 are invited to join and be trained in the rituals associated with serving. For more information on becoming an altar server please speak to Deacon Mattie.